Is the first step in your SMT line-up to a PCB made error free. The automatic solder paste dispenser from YAMAHA is a fantastic dispensing machine. 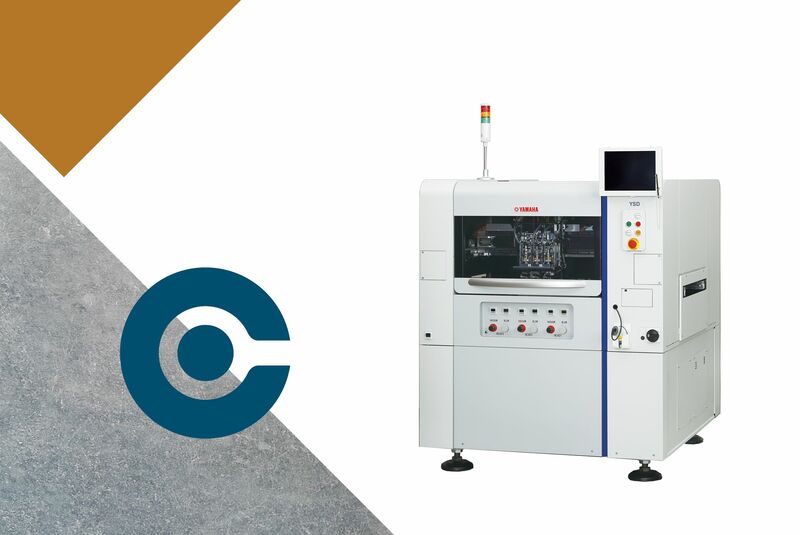 To secure the highest quality in your SMT production line, you must make sure that every step is done with the highest precision - also automatic dispensing of solder paste or glue. That will keep your failure rate low. Therefor choose a great first step. Choose a YAMAHA automatic solder paste dispenser machine. Read more about the YAMAHA YSD dispenser. Top of the SMT line with this YSD solder paste dispenser machine from YAMAHA. To the right automatic solder paste dispenser machine for your SMT line.